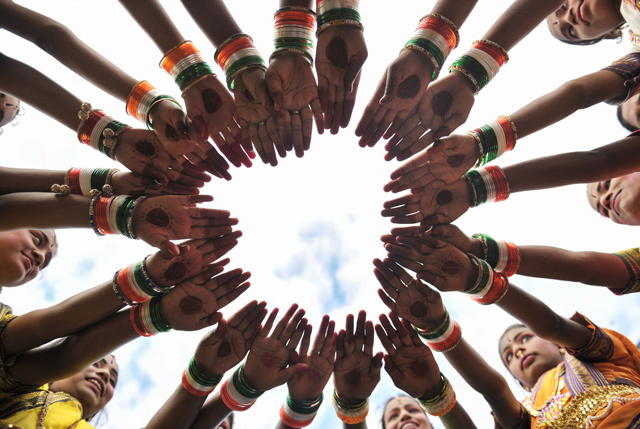 Indian girls wear tri colour bangles practice prior to take part during Independence Day celebrations in Secunderabad,the twin city of Hyderabad, on August 15, 2017. 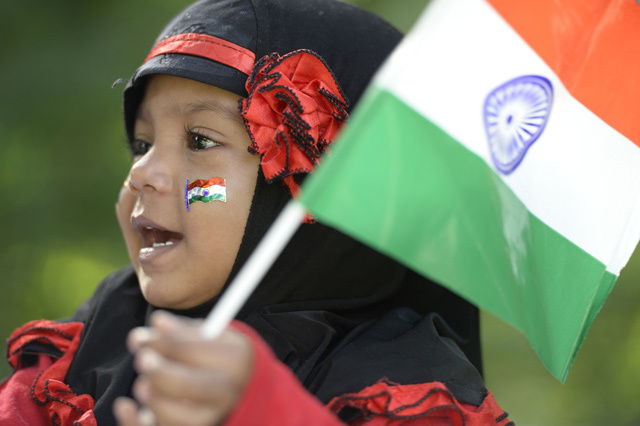 Indian Independence Day is celebrated annually on August 15, and this year marks 70 years since British India split into two nations - Hindu-majority India and Muslim-majority Pakistan - and millions were uprooted in one of the largest mass migrations in history. 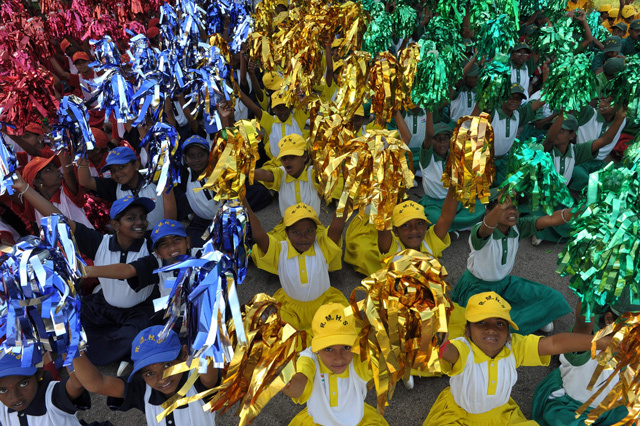 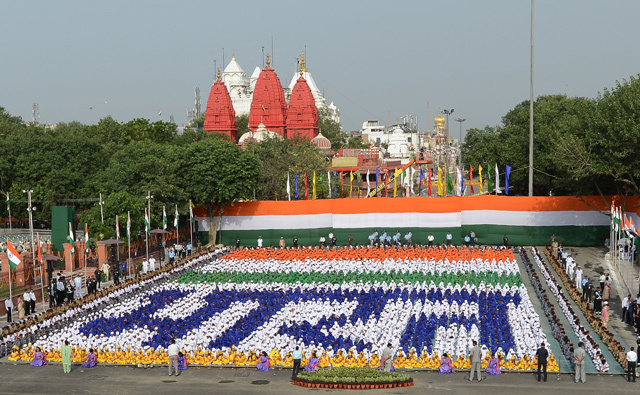 Indian students practice prior to performing during Independence Day celebrations in Secunderabad, the twin city of Hyderabad. 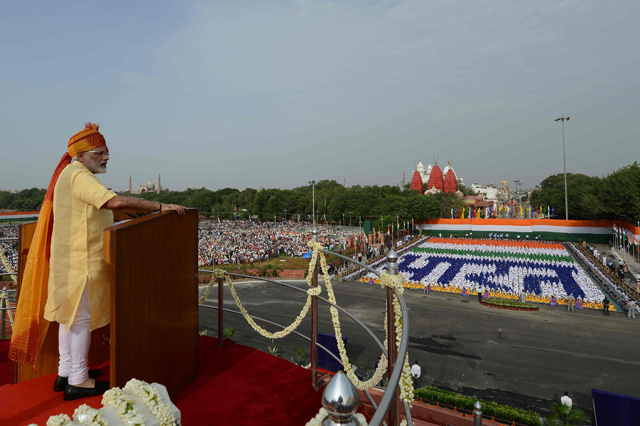 Indian Prime Minister Narendra Modi delivers his speech as schoolchildren (background) sit in formation forming Hindi script that reads 'Bharat' (India) during the country's 71st Independence Day celebrations, which marks the 70th anniversary of the end of British colonial rule, at the historic Red Fort in New Delhi.